389.00 EUR max. 3 Pers. There are overflown according to the weather and desires of the passengers, the 5-lake Ammersee Lake Wessling, Pilsensee, Wörthsee, Lake Starnberg and the historic monastery of Andechs, Mr. Ching, and bars. 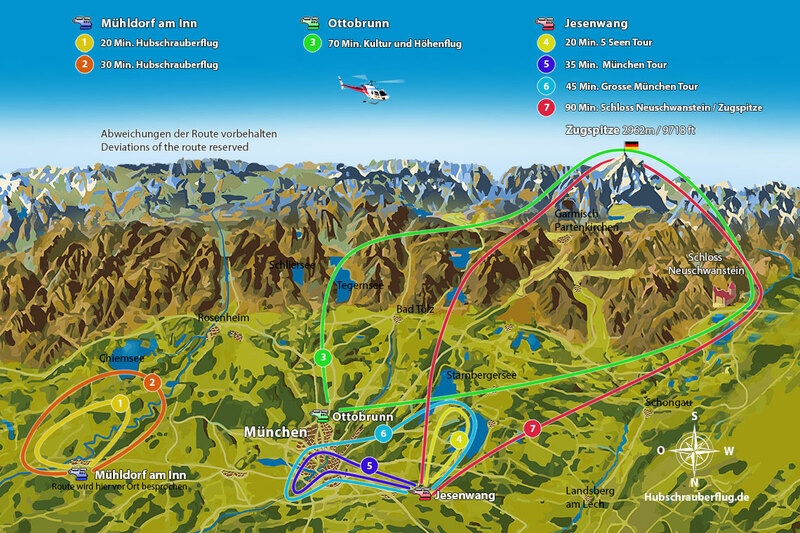 With booking the whole helicopter you can discuss the route on the Airport directly with the pilot.